Brandi is the Assistant Director of Transfer and Adult Admissions. She has been at St. Ambrose University since 1998. Her hometown is Bettendorf, Iowa and she graduated from Pleasant Valley High School. Be sure to check out the Beehive and Game Room in Ambrose Hall! They are great places for transfer and especially commuter students to hang out between classes. 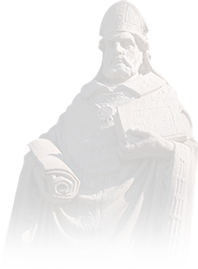 I was a transfer student when I earned my degree from St. Ambrose. I can tell you that it is very rewarding and worth every minute of the hard work you have to put into it. A bachelor's degree opens many doors and opportunities regardless of your age. Also, make sure to check out our Dual Admission program for a great way to explore your future college career at SAU!